Partial Dentures Brisbane - 100% Guarantee. At Westside Dentistry in Graceville, Brisbane, we are experts at producing Partial Dentures. If you have one or more missing teeth, but don’t need full dentures, then a partial denture is for you! Partial Dentures are removable and are supported by the natural remaining teeth and gums. They replace what is lost and preserve what is left. With this denture, the teeth are attached directly into an acrylic plastic base. The upside is that they are the most affordable denture to make, the easiest to modify, and to remove. The downside is that they tend to be the least comfortable denture to wear. They’re also the least stable in your mouth, bigger and bulky, and tend to break more easily. 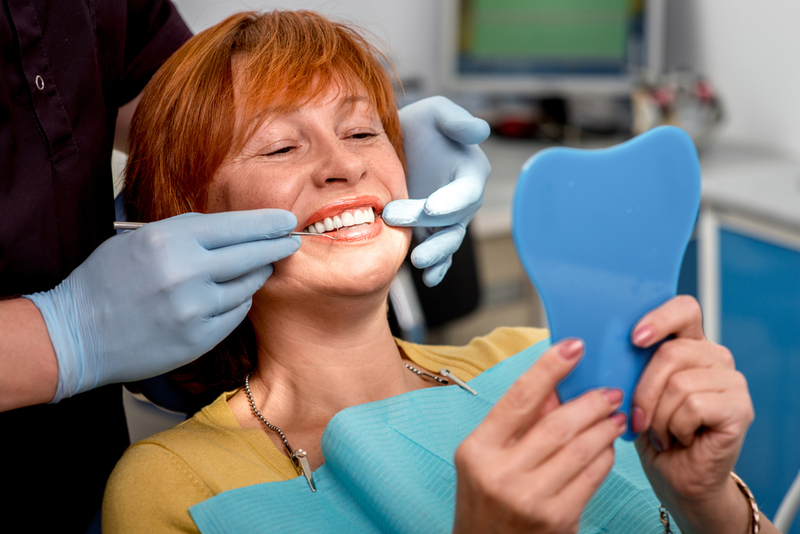 Choose these when you expect lots of changes to be needed to your denture, when you need your denture quickly, or when the cheapest option is required. Chrome Cobalt (stainless steel metal). Chrome cobalt dentures have a metal base/framework into which the denture is fitted. The advantage of this type of denture is that they are often the most comfortable to wear, the easiest to adapt to, are the most hygienic, and are very strong. A chrome cobalt denture is initially more expensive than the acrylic alternative, and any changes that need to be made to the denture, i.e. a tooth addition, is a longer process than if an acrylic denture is to be adjusted. The downside is that they tend to be more expensive initially and also when any changes are made, and they can be more difficult to make and get right. Valplast dentures are made from a flexible nylon material, which moulds neatly to your mouth making it almost invisible. They don’t require any metal clips to keep them in place and are particularly useful for people who are allergic to acrylic. Dentures will typically last 8 to 10 years. Some people wear them for longer than that however, when we examine them, we tend to find that there are issues such as relines and repairs needed. Call Westside Dentistry now on 07 3278 0580 for a no obligation consultation. How Do I Stop My Partner From Snoring? Copyright 2019 Westside Dentistry. All Rights Reserved. Shop 3, 365 Honour Ave, Graceville, QLD 4075, phone 07 3278 0580. Almost there. Enter your details below. Enter Your Name and Details Below Now To Claim Your FREE Dental Pre-Assessment!